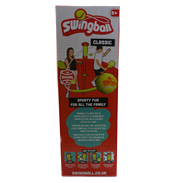 Swingball, (also called Totem Tennis) is a popular game for children and adults of all ages. The two opposing players hit a ball that is tethered to pole, and try to force their opponent to miss. One player forces the ball clockwise and the other anti clockwise. 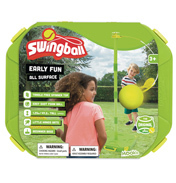 The winner is called when one player manages to wind the ball all around the pole in one direction and the rope coming to the end of the spiral stops the ball. In the UK it is commonly played with a tennis ball and bats. In America it is more commonly known as ‘Tetherball’ and players use volleyballs, striking the ball with their hands rather than rackets. 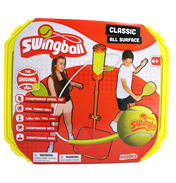 Swingball has become widely varied and combines other sports such as football, netball and cricket. 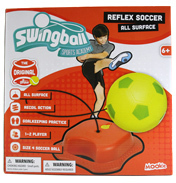 It’s a great way to develop skills for that chosen sport, particularly testing your reflexes. This high-energy game will test anyone’s speed, strength and coordination. It is exercise made fun and easy! 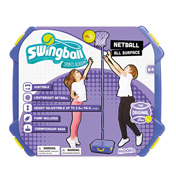 There is a variety of swingball sets at World Wide Shopping Mall, particularly some great starter products to get the youngsters engaged such as Thomas the Tank Engine. Many of the sets are capable of being played on all surfaces too due to the weighted base. If you have a breakage, don’t worry! 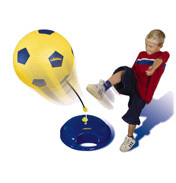 We also stock ball and tether replacements, so you will soon be playing again!